Chuuk campus faculty Ben Bambo Sr. Draft or revise policies and/or procedures assigned to or identified by the committee relating to student life, counselling, tutoring, and collaborations between instructional, student support, student services, and other units in support of student success. Review and provide input on all major documents relating to student life, counselling, tutoring, and other areas of student support. Review and provide input on metrics such as retention, course completion rates, graduation rates, time to graduation, and other measures of student success and retention. Review and provide input on major programs, projects, and initiatives related to student success and retention. Meetings are held at 1:00 P.M. Kosrae/Pohnpei time, 12:00 P.M. Chuuk/Yap time. At the Palikir national campus the location is usually in the board conference room. Student success is built of knowledge, actions, experiences, skills, and values. Students on a field trip learn the nutritional importance of local food. 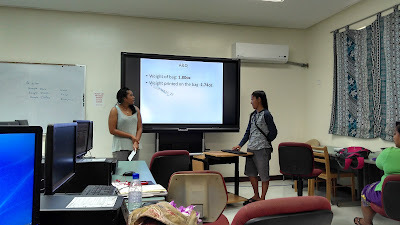 Students gaining career skills by presenting data in a statistics class. Preliminary discussions towards forming a student success committee with a focus on student success across units. Minutes of a meeting prior to formal approval of the committee. Minutes as standing at term end. Self-assessment to be run 2015-2016.